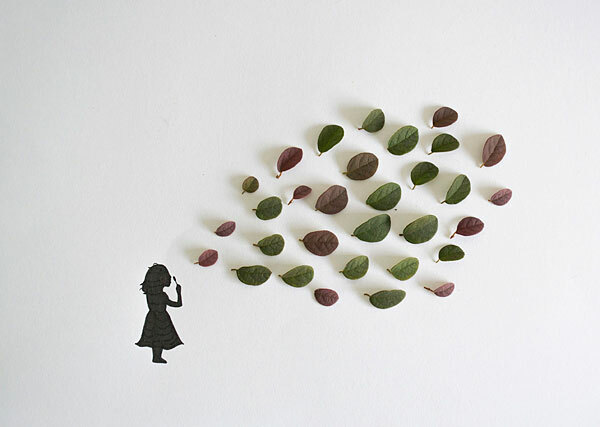 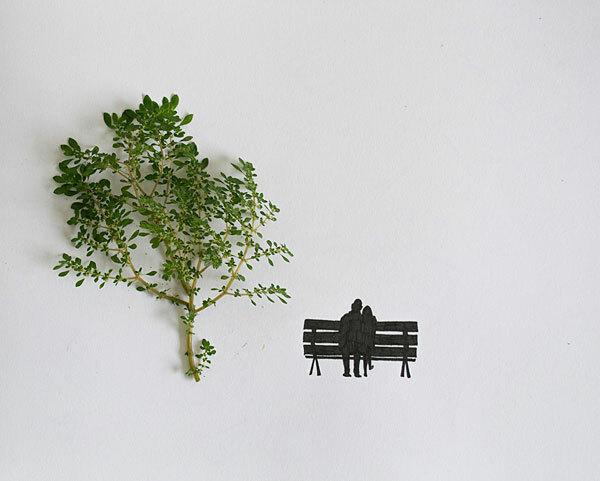 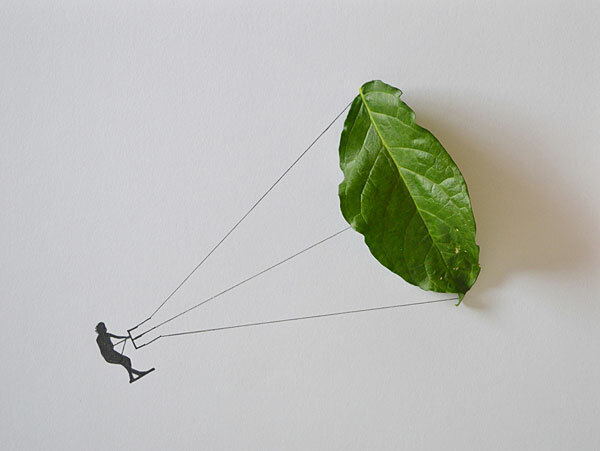 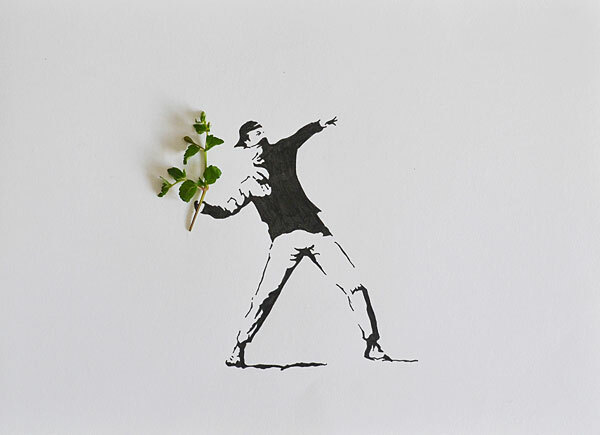 Hand drawings combined with leaves. 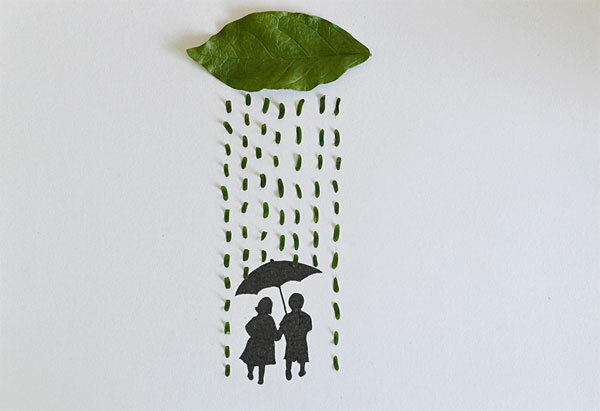 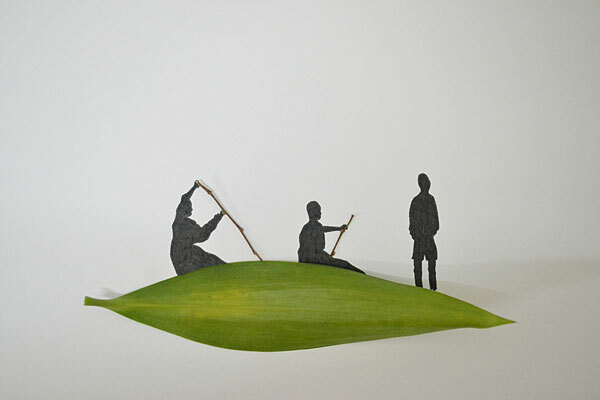 These illustrations are made by few types of leaves and also mixed with my hand drawings. 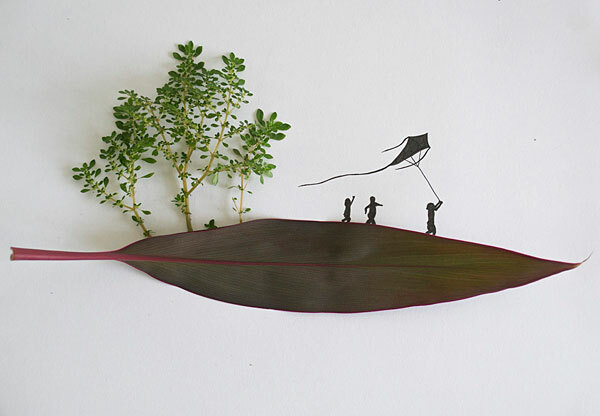 Using inconspicuous/unattractive leaves to create fun, hope, and happiness. 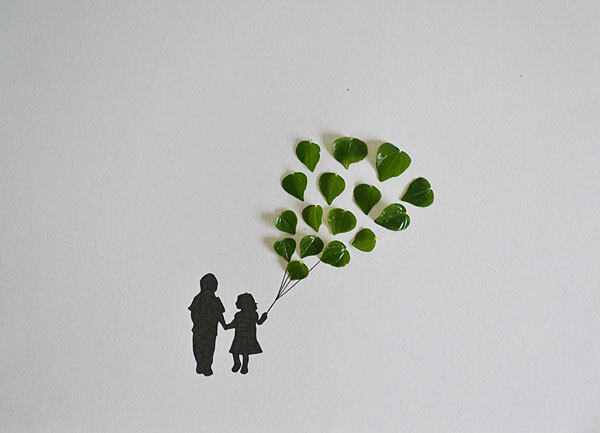 Don't know what the name of the leaves are but i found them in drains, my mom's plants, and at the playground.